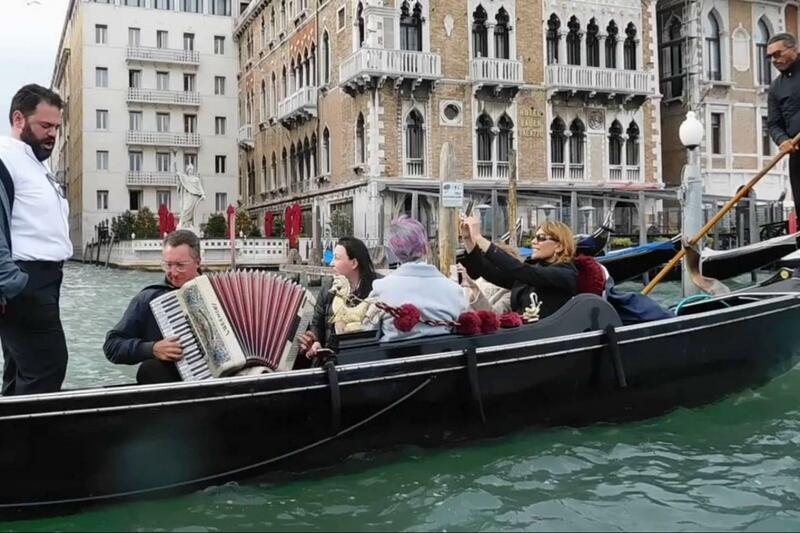 A visit to Venice is not complete unless you take a gondola serenade down the world famous Grand Canal. Enjoy a relaxing evening cruising down many hidden canals so small you can literally touch the palazzos and breath in the Italian culture all the while being cradled in the atmosphere unique only to Venice. 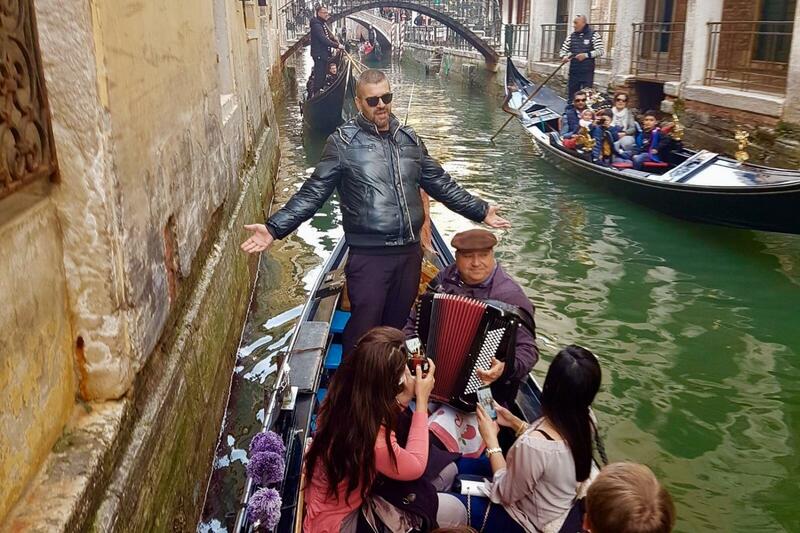 This tour is special in that you will have local musicians along to serenade you with the traditional romantic music of Italy. 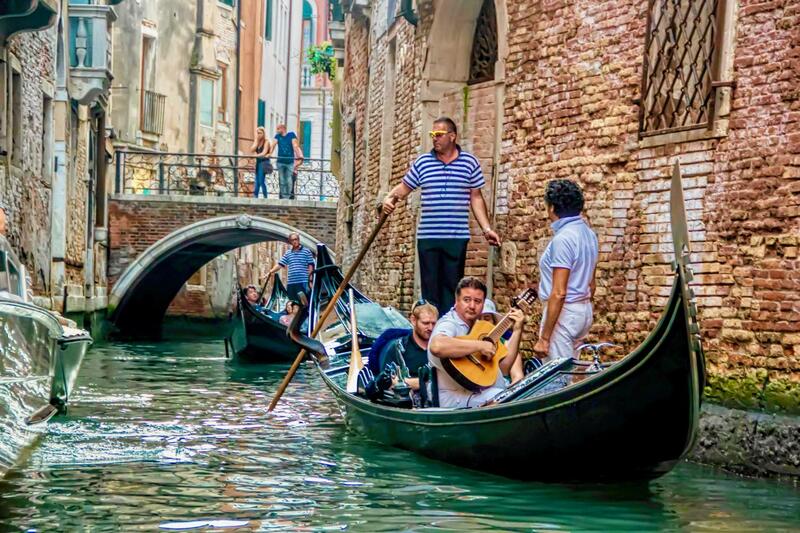 You wont find this with the many other gondola rides offered in Venice. You will be serenade by a musician. 30-minute private Gondola ride accompanied by music. Please make sure you arrive at the meeting point 10-15 minutes prior to the booked tour start time. If you arrive in late you could miss the tour. 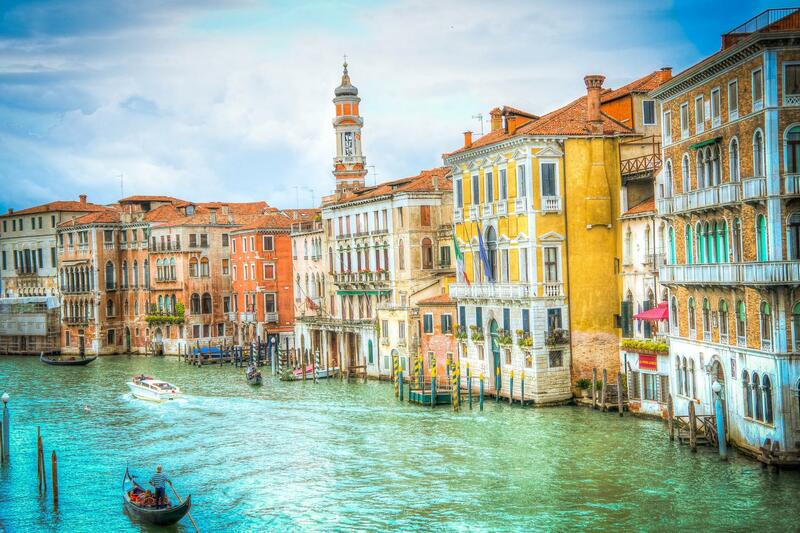 The tour takes you along the Grand Canal near Hotel Gritti Palace and through the inner canals around La Fenice theatre.